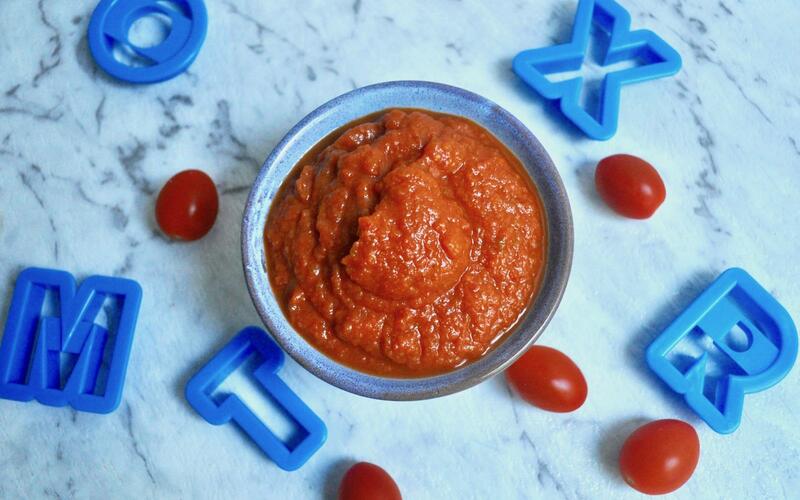 I make a batch of this sweet potato tomato sauce (which contains extra hidden vegetables), and then freeze it in small portions ready to use to quickly add some vegetables to an otherwise plain dish, such as pasta. Heat the oil in a medium saucepan over a medium heat, and gently fry the garlic, capsicum, zucchini and carrot until soft. Stir through the tomato puree, then add the tomatoes, bay leaf and stock and simmer for 10 minutes. Add the sweet potato and simmer for a further 5 minutes, then take off the heat and blend until smooth.